“BEST QUALITY @ BEST PRICE” is our mission. · Color of the rug may vary from the photograph of the product. The rug is laid flat on the ground, then fresh water is poured over it. The rug washers then use a wood plank, sharpened on one edge, to force the water through the rug pile. This removes impurities picked up during the creation process. This is a fine example of a traditional hand woven carpet. 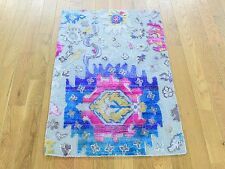 Oriental Rug Galaxy. This is a fine example of a traditional hand woven carpet. Oriental Rug Galaxy. Pile Wool & Silk. 2'9 x 19'5. Foundation Cotton. Silver, Ivory, Taupe, Maroon, Chocolate Brown, Olive Green, Red, Gold.